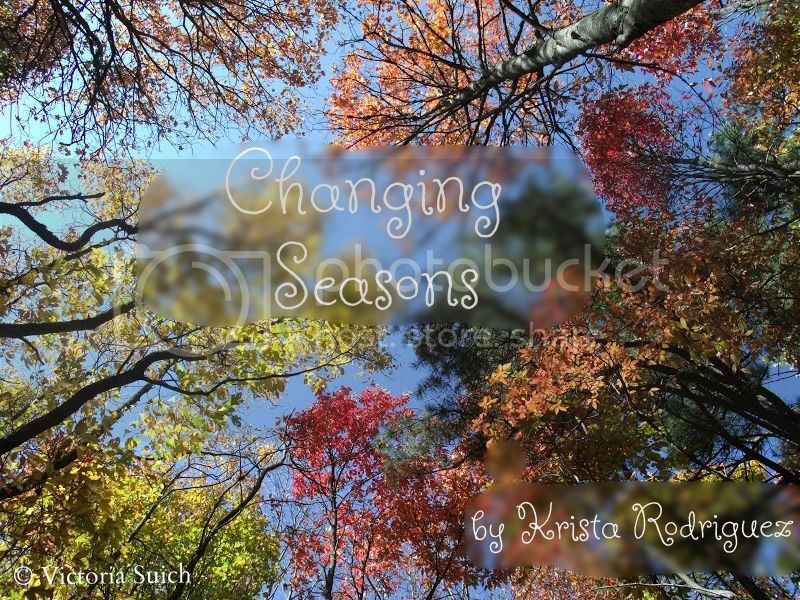 Seasons can change so gradually, with changes almost being imperceptible. Sometimes, the changes are quick with temperatures dropping quickly and leading us to run back inside because we need a jacket on. Here in California, we experienced a very dry spring and summer, and yesterday, I felt the first chill in the air that showed me that the fall season has come. While the changes in our surroundings isn’t as drastic as in any other areas in the United States, I enjoy the autumn time because the leaves start changing color and I like the crunching feeling when I step over them while walking around. The seasons, in a way, reflect the impermanence of things in this earth. It has been a crazy year, and the past few months have been so filled and busy that I do have to hit pause at times and remind my heart to be joyful and to enjoy each season as it comes. Recently, both my grandmothers were diagnosed with some health issues and the past few weeks, both of them were rushed to the hospital for serious health problems. I faced some struggles in terms of a long-term immigration concern that was finally answered, but not in the way I had hoped for. In addition to that, I was in a job situation where I was overjoyed as I was able to openly share the Gospel in my classroom. I could interact with the parents and build friendships with them. However, with God’s providence and direction, I was led away from that workplace and I find myself back in school and in a work environment that is just as welcoming, but is a non-Christian environment. It was disheartening because the job offer was unexpected and the realization that I wouldn’t be able to work because of some legalities that turned up was very sad. I entertained thoughts and feelings like, “But I really wanted to work there” and asked questions like, “Shouldn’t I be happy?” I felt so melodramatic, but I knew I had to keep my focus on Christ. In retrospect, it is a great reminder that God is the author of our individual stories and He holds all things in His hands. It was not a pleasant experience, and there was pain involved, as with any meaningful thing in life. God taught me so much about His purpose, His reasons and His ways all alongside holding my heart during the process. It is with this truth that I can rejoice, because my Savior and Redeemer truly is my refuge in any season and He is gracious enough to reveal His purpose to me, in minute human doses while loving and disciplining me in the process.